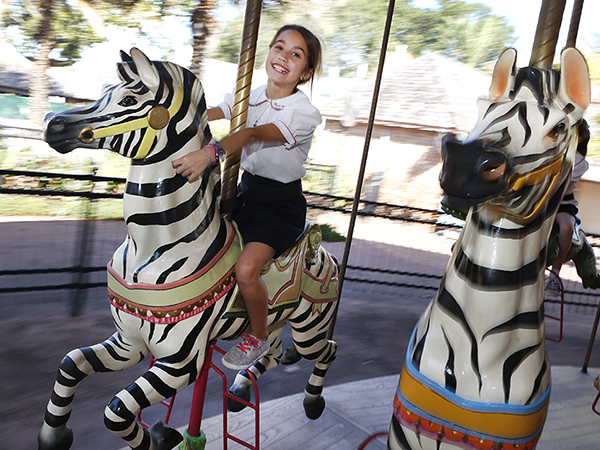 The Gottesman Family Endangered Species Carousel is decorated with oil paintings of our Zoo animals and features a 60-figure menagerie including traditional horses, elephants, rhinos, giraffes and other vanishing species. The carousel also hosts birthday parties! Tickets: $2/non-members, $1/members (includes tax).